2013 might be the year of the Philippines & Venezuela as the captured all major crowns, but it was European girl who not only captured the hearts & Imagination of the people but in a rare co incidence all the First Runner Up at the Big Four Pageants were Europeans . First Runner Up: Marine Lorphelin (France) with Miss World 2013 Megan Young(Philippines). 20 year old Marine a second year Medical student from Lyon, France. was one of the few delegates who were considered as a threat to Megan young at Miss World. Marine proved herself by placing in As the highest-scored European candidate, she also won the title of Miss World Europe. Before the final, she was selected as the 1st runner up of Miss Beach Beauty Fashion, 2nd runner up in the Miss Top Model competition, and finished in the 6th place for Miss Beauty With A Purpose. 23 year old Patricia a pageant veteran (represented Spain at Miss World 2008) was a heavy favorite to win the Miss Universe crown. Her super model look her exotic skin tone,her body frame was perfect till the last moment everyone thought that she would win the crown but she ended up as the first Runner up. Many say MUO will not crown girls who have previously competed in other pageants especially Miss World. Maybe that’s why she didn’t win. 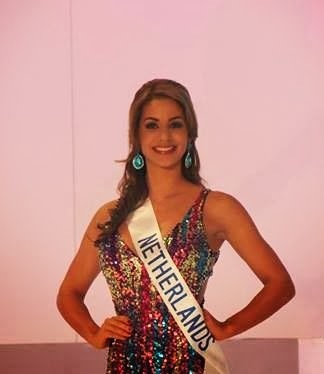 In 2010 Nathalie was crowned as Miss Tourism International in Malaysia & later won Miss Universe Netherlands 2012 & she represented The Dutch country in Miss World 2012& Miss Universe 2012 she was placed in Miss World but went unplaced in Miss Universe .Nathalie used all her pageant experience well& finished as First Runner up to Bea Rose Santiago of Philippines. Miss Earth 2013″ Alyz Henrich of Venezuela (2nd from right), Katia Wagner of Austria (Miss Air) (2nd from left), Punika Kulsoontornrut of Thailand (Miss Water) (far right), and Catharina Choi of Korea (Miss Fire) (far left). 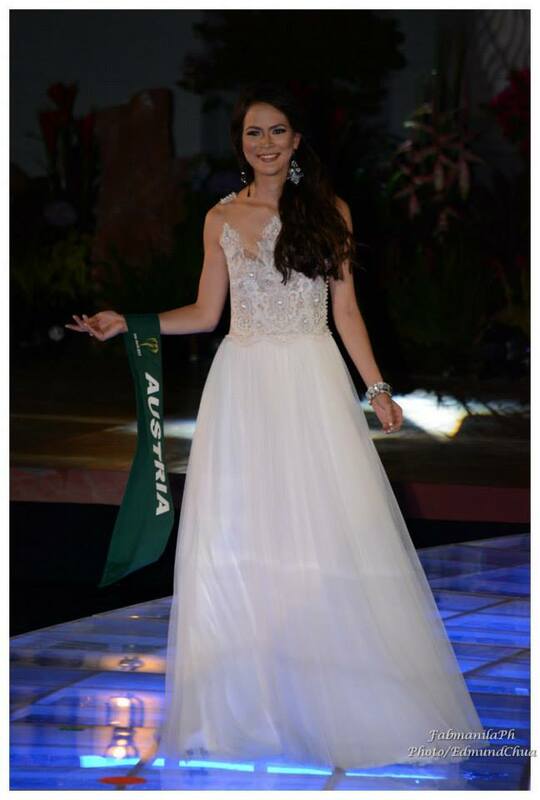 Katia a half Indonesian half Austrian was nowhere to be found on anyone’s list before the Miss Earth finale, She was flying under the radar but she never catched the attention of pageant fans her performance both in evening gown & swimsuit round. Funfact about Katia she can speak five languages German, English, French, Russian, and Bahasa Indonesia. She also studied Latin.